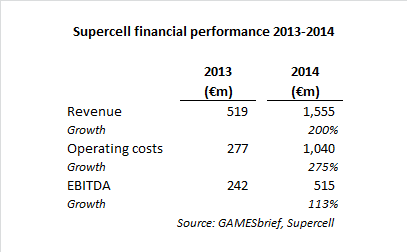 Supercell has recently reported revenues of €1.55 billion for 2014, from Hay Day, Clash of Clans and Boom Beach. It made profits (EBITDA: Earnings before interest, tax, depreciation and amortisation) of €515 million. That compares with revenues of €519 million and profits of €242 million. Revenue grew by 200% and profits grew by 113%. But costs are rising. Those operating costs are not staff costs. Supercell ended 2013 with 138 staff, and only added a dozen new people in 2014. It is possible that some of those costs are outsourced costs of development or technology. But I suspect nearly all of that growth is marketing. Like the Superbowl ad with Liam Neeson. So marketing costs are rising at a pace that is outstripping revenue growth. 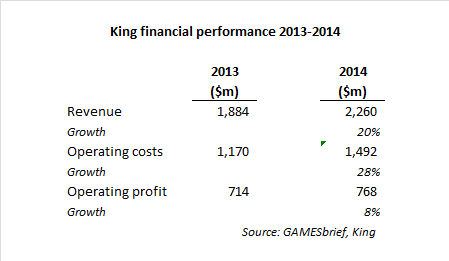 King, the maker of Candy Crush Saga, is keeping costs under control. 2014 revenue grew from $1.9 billion to $2.3 billion (up 20%), while profits grew just 8% from $714 million to $768 million. Much of the cost growth was associated with equity-based compensation for stuff. Marketing costs grew 20% (i.e. in line with revenue) from $377 million to $455 million. 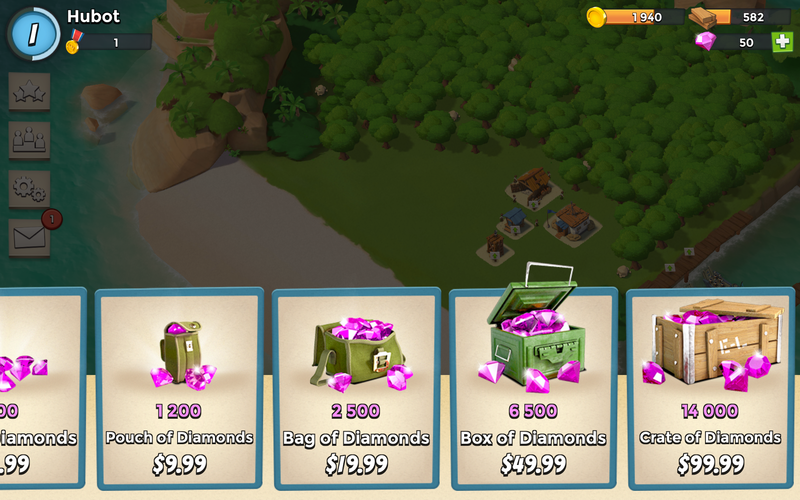 Note that Supercell figures are quoted in euros. King figures are quoted in dollars. So King is spending almost half a billion dollars a year on marketing. 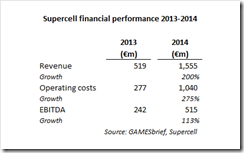 Supercell is spending, according to the Financial Times, €400 million a year marketing, and its operating costs are growing faster than revenues and profits. I expect this trend to continue throughout 2015: development and marketing costs will continue to spiral, revenue growth will slow and profitabiity will decline. I wonder whether investors are ready for this news.